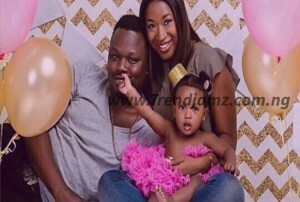 Mavin Records star, Dr Sid and his wife Simi Esiri have welcomed their second child – a baby girl – on Christmas Eve. The now proud father of two girls, who took to social media to express his happiness, shared a picture of his first daughter carrying the new born as he gushes at the excitement 2019 holds for his family. “On Christmas Eve baby Sarah Esiri was born, @simiesiri gave me the best Christmas gift ever, thank you soo much. I’m officially a proud father of 2 beautiful girls. I can’t lie, 2019 is already looking amazing! !